Have you wondered where all of the items from this update come from? The characters, the buildings, the decorations? Right after the jump we’ve the complete list of all the items in the Valentine’s Day 2016 event and where did they come from! 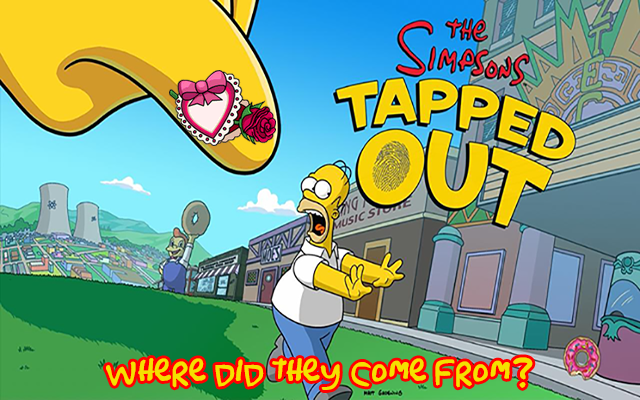 Click on the name of an episode to view its page on WikiSimpsons. Join us next time for any news on this event, happy tapping! The main quest, at least, seemed more like an episode tie-in than an event. Which is fine, of course. I want to get the cooling towers but not sure if it’s worth the donuts. Does anyone know if the Valentine cooling towers are an addiction or just a replacement to the old one? Next Happy Valentine’s Day: Grab your free Valentine’s Pond and the Bundle of Love is now available!